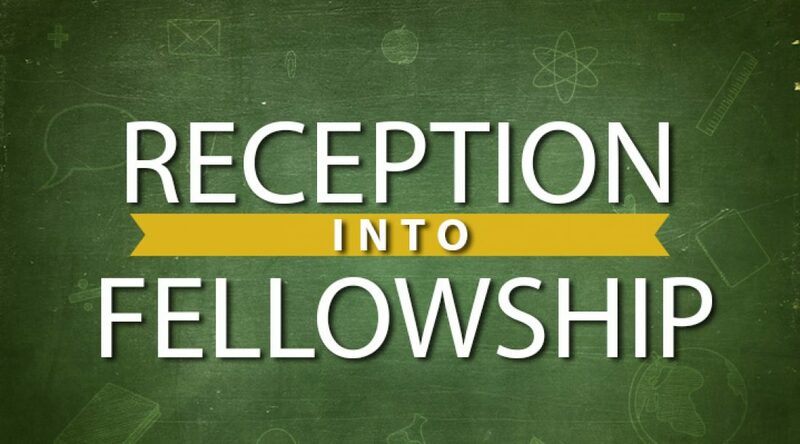 What does the New Testament say about Reception into Fellowship? For instance, there is no instruction on times, length, or flow of meetings. There is no word on the following issues; hymnbooks, seating arrangements, Sunday school, or how to take the offering. 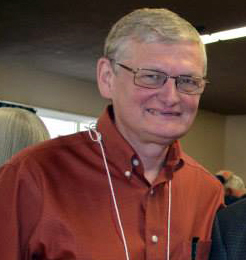 Even more substantive issues such as how to recognize elders, the role and function of deacons, and the order of a meeting like the Lord’s Supper, lack a definitive word. This is true of reception into fellowship. There is no concrete example or explanation of how the early church functioned. Questions such as; at what age children should children come into fellowship, or, what are the requirements and procedures for reception? This would seem to be an area of assembly life where the autonomy of the local assembly applies. In the absence of “a thus says the Lord” a local church must decide how they will receive people. Association often determines practice, so most assemblies follow more or less a pattern passed on from previous generations. Gospel Halls tend to follow a similar pattern among themselves, as do “Exclusive Meetings” in their circle. “Open assemblies” vary in their approach due to a greater sense of autonomy. Because there is no word on “how,” each local church must decide before the Lord what their practice will be. As a result, some places have more structure as opposed to other assemblies. As to procedure, there is no right or wrong, maintaining the principles is the important issue. Generally, where one fellowships determines how one stands on these kind of issues. That is, the type of assembly we are in may well frame our view on this issue. In “Open assemblies” the charter is, “therefore receive one another, just as Christ also received us to the glory of God.” (Romans 15:7). What is fellowship based on? Fellowship by definition is a partnership so those who come into fellowship must be in agreement with the direction and function of the assembly. They may have different views on particular verses and doctrines but they must agree with the direction and be willing to submit to the leadership. Each assembly must decide many of these issues and implement them as they see fit. The decision on the right age to receive children, and how and when to receive recent converts, is up to the leadership. In all these matters, the leadership is ultimately accountable to the Lord. 4 Responses to What does the New Testament say about Reception into Fellowship? Dear Brother,Very interesting article, thank-you. It’s sometimes stated that Romans 15 is dealing with various matters, while Acts 2.41-42 is dealing very directly with local assembly fellowship. In the Acts passage, I’m wondering if it would make sense to extrapolate that it’s continuance in the apostle’s doctrine rather than membership of the body that are the grounds for local assembly fellowship? I’m still relatively new to the district, though glad to be a Canadian citizen already, but I remember Mr. L.Steers in public ministry helpfully pointing out these distinctives with particular reference to historic practice in the wider district here. It’s always good to see local assembly autonomy stressed also! I suppose in some places, with the outworking of this autonomy principle, there may be some relevance of underlying issues, which might or might not be present, which could include divorce & remarriage, etc. We look forward to your visit to us next year, DV. Hi Gary, appreciate your thoughts and with the “freedom” they leave me with. Wondering if you consider baptism a prerequisite of reception as in the order listed in acts 2:41? “Having light” in Scripture does not mean having a lot of informational knowledge, but rather experiencing the presence and nearness of God and His Son in the measure of what we know of Him and His Word. See 1 John 1:5-7; 2:8-10; John 3:19-21; 12:35,36,46; Ephesians 5:8; 2 Cor. 6:14-19. First John 1 says plainly that “if we walk in the light as He is in the light, we have fellowship with one another.” Light in this sense is a prerequisite for fellowship. So, if a believer comes to us who knows very little of Scripture, but walks with the Lord in the measure what he/she knows and manifests a submissive attitude toward God’s Word, we should receive this Christian. If on the other hand a professing Christian with much “brain knowledge” of the Bible and habitually walking in sin contrary to what he/she professes, God cannot have fellowship with that person. Nor can we.